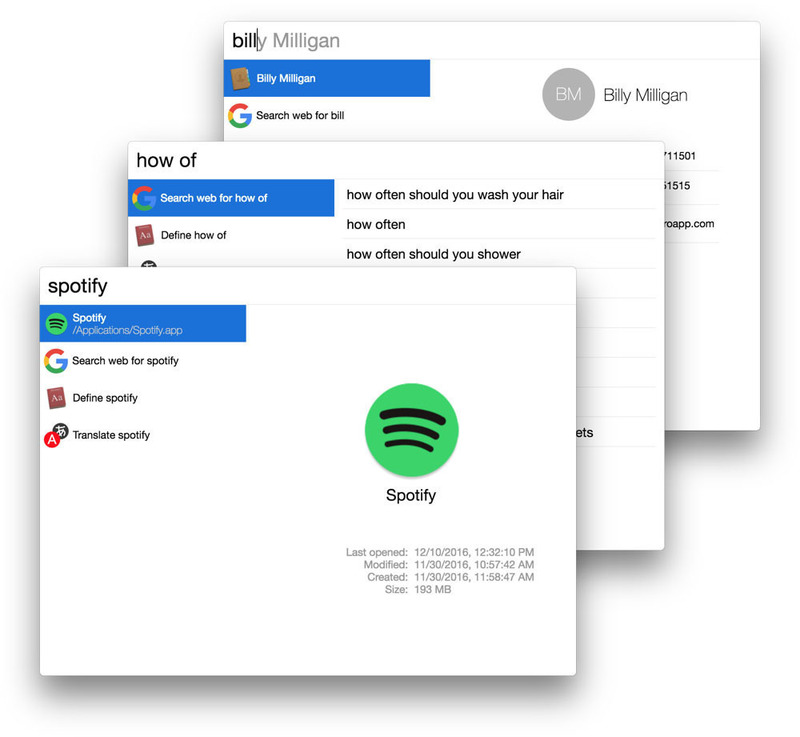 Desktop search for system or Internet. Is there a better alternative to Cerebro? Is Cerebro really the best app in Productivity category? 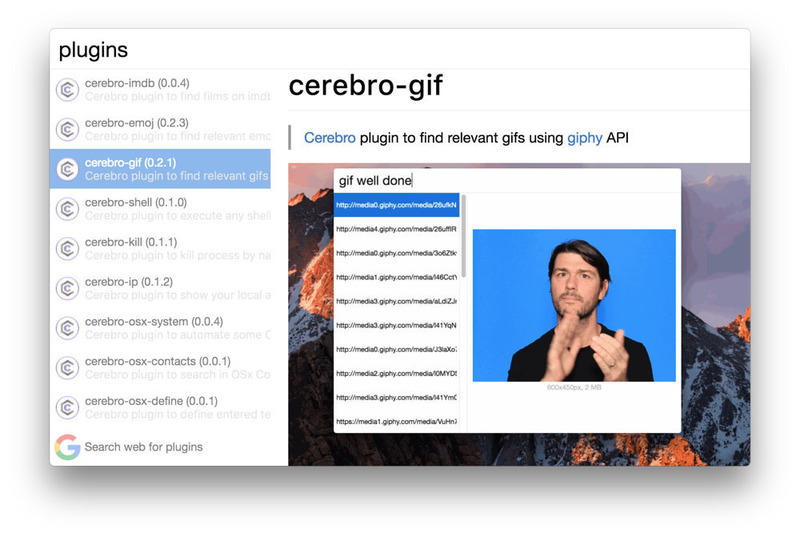 Will Cerebro work good on macOS 10.13.4? Cerebro is a productivity booster with a brain. 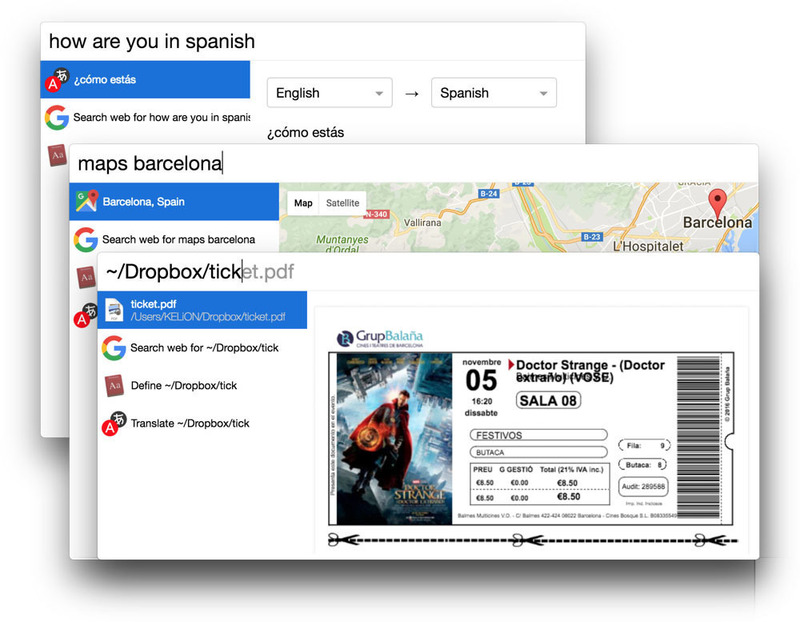 Search everything - Search everything in few clicks. On your machine or in the Internet. Interact with everything: open file in default program or reveal in finder, copy contact details to clipboard, see google suggestions. See everything - Maps, translations, files. Now you don’t have to open another application to see what you need. Everything is in one place. Cerebro needs a rating. Be the first to rate this app and get the discussion started! Do everything - Using included plugin manager you always can find and use what you want. There is no plugin that you are looking for? Use simple, but powerful API to build your own plugins and share them with community. 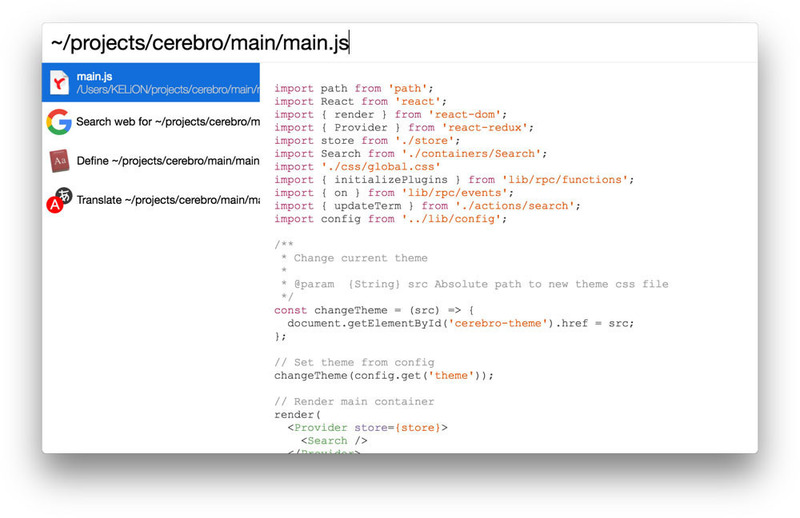 Open-Source - Cerebro is free and open-source. Be a part of community: contribute your improvements, suggestions, and fixes. Note: While the software is classified as free, please consider making a donation to help support development.